UU A Way Of Life: Ask Alexa - Should I vote? Ask Alexa - Should I vote? 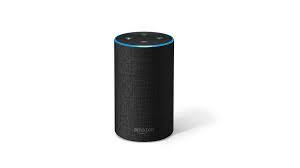 Alexa: I don't know if I should vote on Nov 6 since the whole system is corrupt and my vote doesn't really matter anyway. Should I vote? The 1% counts on your cynicism and demoralization, and with voter suppression and hyped up controvery with negative campaigning, the 1% is counting on your not voting because of your disgust with the whole business.